Located on Central Ave just north of W 111th St, Extra Space Storage serves residents of Chicago Ridge, Worth, Palos Hills, Oak Lawn, Merrionette Park, Crestwood, and more. Locals will recognize our facility a few minutes north of Holy Sepulchre Catholic Cemetery. Need Chicago Ridge self storage close to your college campus while you're away for the summer or studying abroad? Extra Space Storage is about 3.3 miles from Trinity Christian College and 3.5 miles from Saint Xavier University, providing the perfect storage solution for local college students! 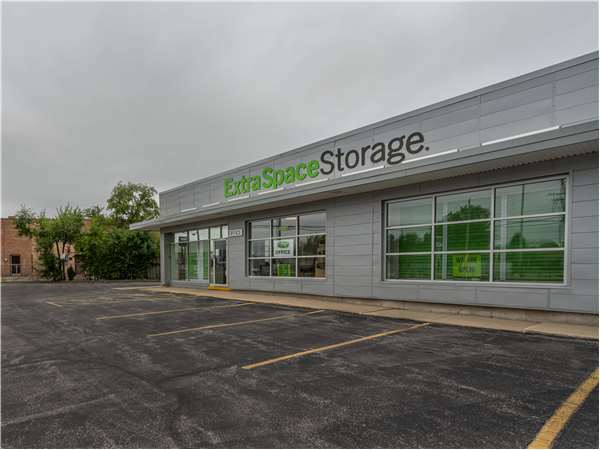 Extra Space Storage on Central Ave can accommodate commercial and residential storage needs in Chicago Ridge with a variety of storage units, climate-controlled storage, vehicle storage, and more! No matter what you plan to store, our Chicago Ridge storage facility has the ideal space for you! We offer unit sizes between 5x5 and 10x30 with indoor access, first-floor access, and elevator access. With advanced security features like electronic gate access and 24-hour video surveillance, you can store valuable items with confidence and peace of mind at our Central Ave storage facility. Worried about storing delicate items? Protect them from extreme heat and cold year-round in a climate-controlled unit! Climate control maintains a storage environment between 55 and 80 degrees. Looking for secure vehicle storage in Chicago Ridge? Extra Space Storage on Central Ave has large outdoor parking spaces that can accommodate vehicles like boats and RVs. At Extra Space Storage, we truly care about your satisfaction. That's why we maintain a clean, secure facility at all times and have a friendly, professional team dedicated to delivering great service. If you have any questions or need assistance, don't hesitate to reach out. Contact us today to reserve a storage unit in Chicago Ridge!